Online Will programs and Will writing kits are increasing in popularity and more people are considering the option when comes the time to write their Will. 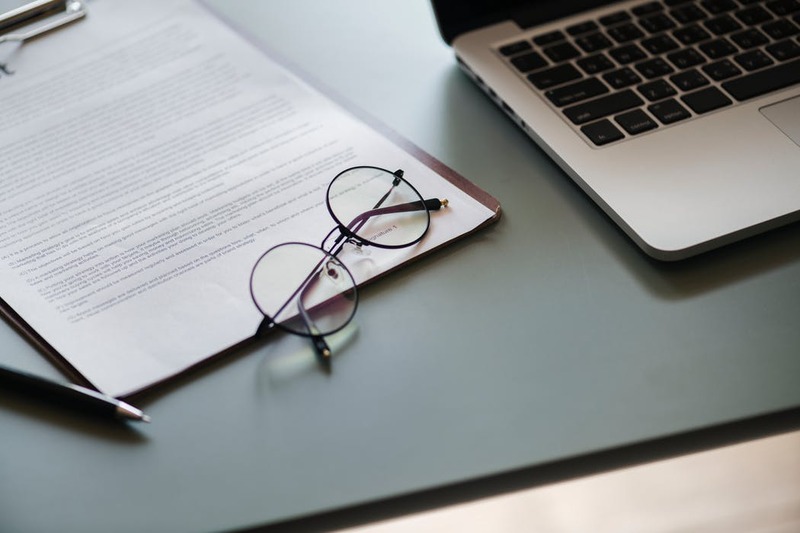 While they may seem advantageous at first glance, DIY Wills have significant drawbacks that could actually make them completely invalid. This could lead to disputes and might put even more stress on your family after you’re gone. Let’s take a look at some of the disadvantages of online Wills and why you should avoid them at all costs. Most online Will programs will give definitions of various legal terms that will be used in the Will, but even if they do, a lot of people may still be struggling with some of the definitions in the glossary. One simple mistake could mean that one of your beneficiaries could get much more or less money than what you intended. Even worse, you could completely forget to add someone to your Will, and they might not have access to any of your estate as a result. If you work with a qualified lawyer, they will review your list of beneficiaries along with specified shares to make sure that your Will actually reflects your decisions. A lawyer will also go more in-depth with you and ask questions to clarify your decisions. And if you want to exclude one of your legal heirs from the Will, then you might need special wording added to make sure that they aren’t included. They’ll also be able to give you a list of legal heirs if you’re not sure about succession laws in your province. For a Will to be valid, the execution has to be made in accordance with your province’s laws. If your Will is not properly executed, it won’t be acceptable for probate, which are the proceedings that are used to settle your estate and validate your Will. While online Will programs will have clear execution instructions, they don’t account for human error. If you happen to misinterpret some of the instructions, don’t follow through or follow standards that aren’t applicable in your province, then the Will could end up being invalid. For instance, one common mistake people make with online Wills is signing the will as soon as it is printed out, then start looking for a witness. In reality, witnesses should be present when you’re signing the Will. A simple mistake like that could be enough to invalidate your Will. Working with a lawyer will ensure that everything is done according to the law and that your Will was properly witnessed and signed upon completion. You may have certain special requests that you’d like added into your Will. If that is your case, you might have issues fitting these requests into a ready-made template. There really is no substitute for being able to speak directly with a lawyer who’ll ask the right questions to assess your situation. Bad wording or other important mistakes could result in your Will being misrepresented and lead to more problems. And if you have a poor understanding of things like titling, for instance, this could also lead to certain provisions being invalidated. Also, only a qualified lawyer will be able to inform you of some of the estate law quirks in your area. If you live in Alberta, for instance, common law partners are treated just like married couples and are considered legal heirs. However, in a province like Quebec, common law couples aren’t even recognized by law. So, depending on where you live, you might have some misconceptions that could end up complicating the whole process; hence why you should consider going with a skilled lawyer in your area. If you live in Alberta, groups like Verhaeghe Law are specialized in estate law and will guide you through the whole process. They also know local estate law in and out and might provide clarifications on rules you may not even be aware of that could have severe repercussions. If your family situation is complicated, you should never, under any circumstances, go with an online Will, unless you have a thorough knowledge of estate law in your area. For instance, if you were recently separated, have a common law partner, or have dependents or minors with special needs, online Wills are never a good idea. You should also avoid online Wills if you own assets outside of the country or have rental property, a recreational home or a business as part of your estate. A lot of people don’t realize the stress and trouble that comes with dealing with an invalid Will. If your Will is poorly written, it could take years before your loved ones can get access to anything. This could strain relationships in your family and they might never be repaired. Losing someone is already a very traumatic experience and adding legal battles on top of that could make grieving even more difficult. So, if you truly care about your family’s well-being after you’re gone, you can’t afford to cut corners when drafting your Will. Many people often unaware of this, but an inheritance could actually be a burden in some cases, depending on the beneficiary. For instance, leaving money to someone could actually strip them of assistance they actually need or might cause tax issues. When you work with a lawyer, they’ll be able to look at your beneficiaries’ financial situation and will be able to inform you of some of the issues an inheritance might cause them. They’ll also be able to give you better alternatives. Something as important as drafting your Will can’t be left to chance. Even if you think you have a good grasp of how a Will should be drafted or executed, it’s always better to seek professional help to avoid potentially disastrous mistakes.